This entry was posted in Cartooning, Game Graphics, Illustration and tagged D&D, Rogue, Roll20, Token. Bookmark the permalink. Nostalgia is not only a powerful source of motivation, but it incentives us to explore contemporary concepts from the past and carry forward that which stands the test of time. In this vein I enjoy taking a break from my usual set of tasks in order to pay respects to the masters of the past, and to hopefully glean some bit of knowledge myself. 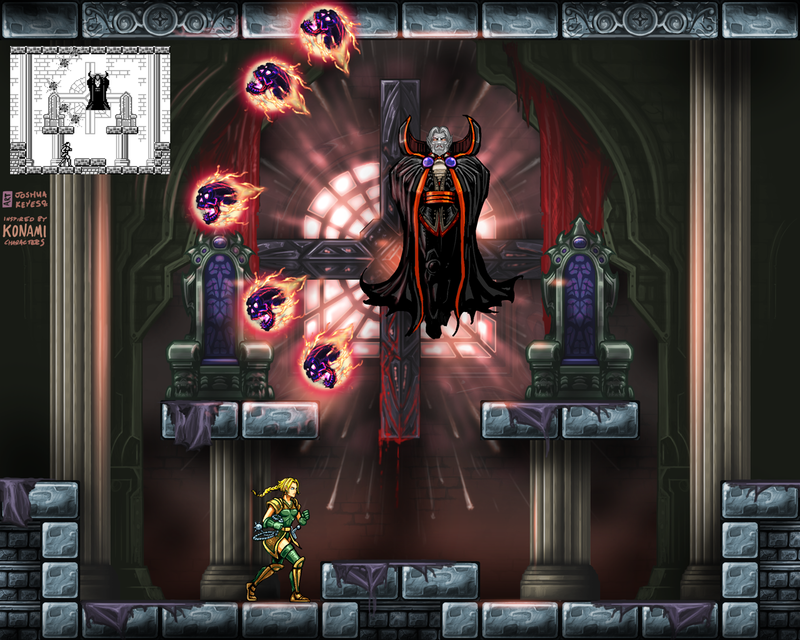 This entry was posted in Fan Art, Game Graphics and tagged 2d game, Castlevania 3, Classic, HDremix, NES, Redux, retro. Bookmark the permalink. My first mini project using the Tiled application was an enjoyable experience. A friend of mine made a multiplayer PvP top down shooter game with a html 5 platform. He had several placeholder graphics that I was able to re-skin to give the game it’s own unique flavor. See the original screen capture below for comparison. This entry was posted in Game Graphics, Indie Game Art, Tiled and tagged C5, graphics, Topdown Shooter, Videogame Art, Videogame Graphics. Bookmark the permalink.